Dozens of friends and fans attended the opening reception for Dana Goodfellow’s art show at the Darien Library Art Gallery last Friday. 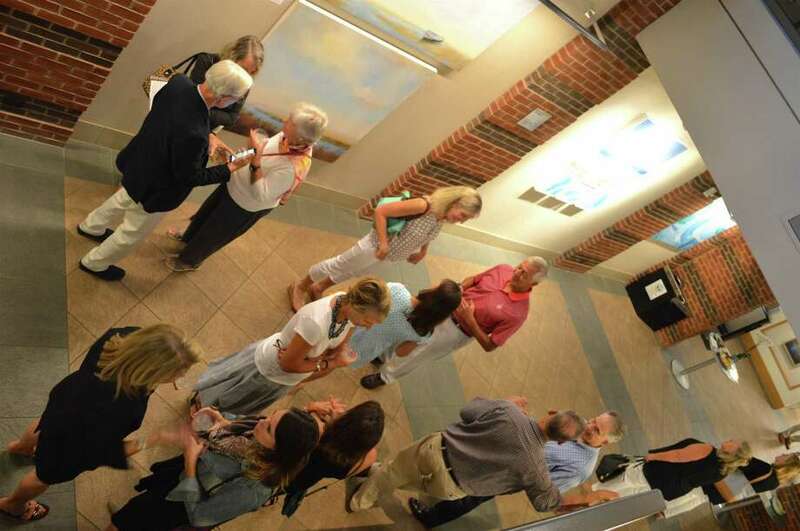 DARIEN — Fine art and good friends were the theme at Friday evening’s opening reception for local painter Dana Goodfellow’s new show at Darien Library. Dozens of her landscapes, realist and abstract, will be on display in the downstairs gallery through Oct. 20, with many pieces for sale. “I’m very excited and very honored to have the show here,” said Goodfellow, an award-winning painter who teaches at the Rowayton Arts Center in Norwalk.